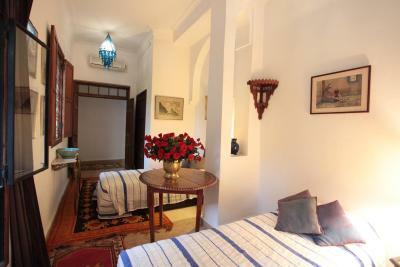 Lock in a great price for Riad Lyla - rated 9.6 by recent guests. Everything! Riad Lyla is a beautiful, charming place to stay; made even more welcoming by the fantastic staff. Radovan and Lahsen (apologies for spelling) took great care of us, making sure we had everything we needed and giving great advice on getting around the Medina. Breakfast was wonderful; the perfect start to the day and our room was kept faultlessly clean and tidy. 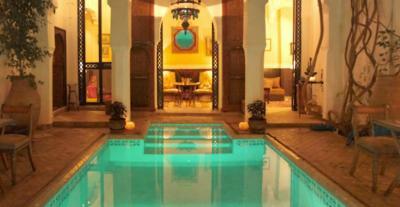 We booked for the location and beauty of the riad, we would return for the staff! Riad had loads of Character and was well situated for the Old Town. Staff were really friendly and gave us really good advice about avoiding the negatives that can spoil your experience of Marrakech. We ate "in house" and the meal was every bit as good as those we had elsewhere. What an amazing place to stay. I’m sad to say that I was only here for one day, as the location, rooms and staff were AMAZING! Such a cute Riad, and exceptional value for the price. I would highly recommend this place, once you find it you will be incredibly happy! Riduan (hope I got his name right) and team are excellent, very friendly and helpful. A map was provided with explanation of places to visit and how to get around in the medina. Helped to arranged a day trip too. This Riad is an authentic Moroccan designed Riad, tastefully decorated, lots of greens around with nice terrace for panoramic city view. Enjoying delicious breakfast by the poolside is awesome!! Love the variety served, especially the homemade yogurt!! Love the location too. Near main taxi drop off and a few minutes walk to the main square, via main road or via the alleys within medina. It is also very close to some good restaurants, including a tapas house that I went during happy hours!! 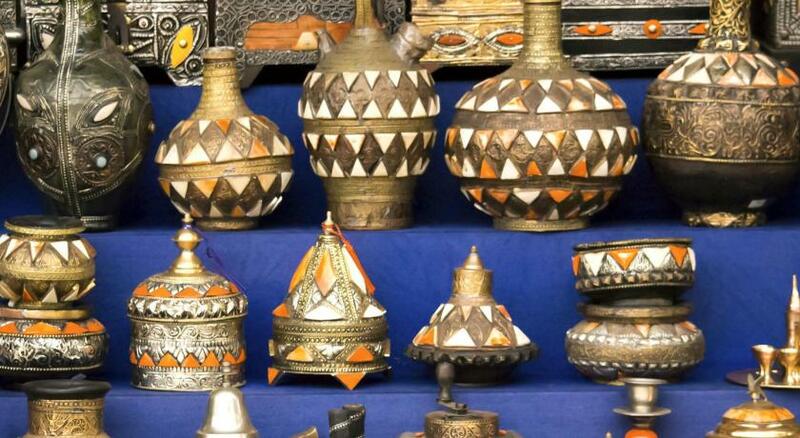 Authentic Moroccan architecture and design. Wonderful breakfast. Large, airy room. Rooftop terraces had an amazing view, quiet and lots of different spaces with sofas, loungers.... Wonderful plants and decorative items. Lyla was really really amazing. Radoun's team were so helpful and welcoming. Lashan, I hope I have spelt that tight, was so nice and friendly. He had a great attitude and was slightly upset that we had brought our travel bags down when we were leaving as he wanted to do that. As I say a lovely, lovely team. A real oasis and place of relaxation in an otherwise frenetic place. Lyla Riad is amazing, it is even better than the pictures show. Our room was a dream, super authentic, clean and with all the details (natural flowers in a vessel, drinking water, tea). The room was located on the top of the garden. Natural light entered through the window, and birds were singing in the morning. We felt like in an oasis of peace. The staff treated us excelent, they have been very kind and helpful. 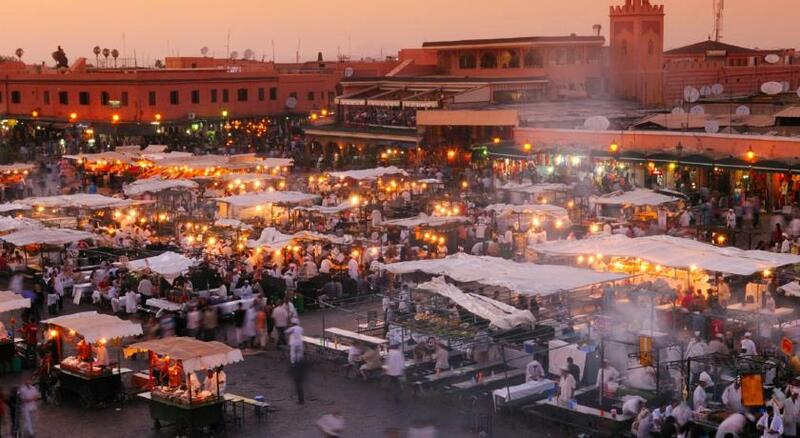 They told us every tip to visit Marrakech and they more than covered our needs. Breakfast was delicious. It was the best riad that we have stayed in our 5 days trip. We will come back again, for sure. Thanks for everything. super friendly stuff, stunning ambient & really nice rooms and decor. Defintely recommend it!! This is a beautiful Riad in the middle of Marrakesch! The staff is exceptional friendly and polite. We loved our stay. Dinner in the Riad was marvellous! Riad Lyla is set in central Marrakech, a 5-minute walk from Jemaâ El Fna Square, and offers a rooftop terrace with a view of the Medina. Guests are invited to enjoy a mint tea on the patio or take a swim in the pool. The air-conditioned suite are traditionally decorated and offer a view of the patio. They each include a private bathroom with tadelakt walls, free toiletries and a shower. Breakfast is served daily and traditional Moroccan cuisine can be enjoyed on the terrace or in the dining room upon request. Riad Lyla also proposes free Wi-Fi and a lounge with a fireplace. The Koutoubia Mosque is 650 yards from the property and the Ben Youssef Madrasa is 0.6 miles away. 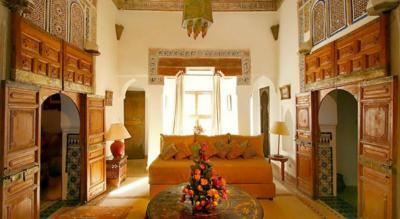 Riad Lyla is 1.1 miles from Bahia Palace and 4.3 miles from Marrakech Menara Airport. 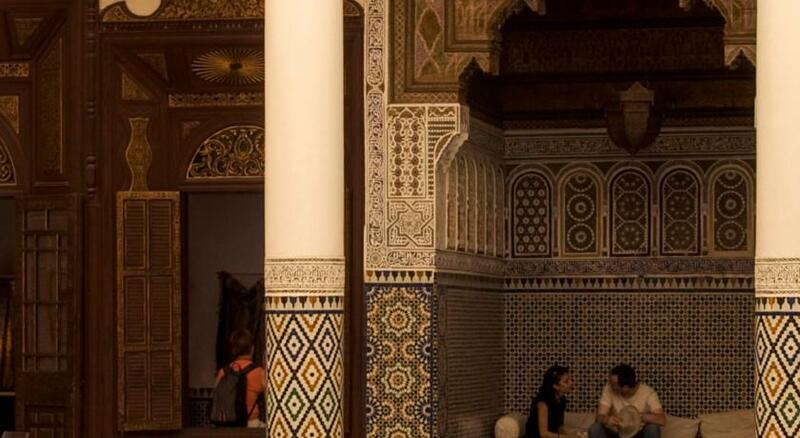 Riad Lyla has been welcoming Booking.com guests since 11 Feb 2013. When would you like to stay at Riad Lyla? This elegant room features a traditional décor, a seating area and a view of the patio and the pool. This elegant room features a traditional décor, a seating area and a view of the patio. This elegant room features a traditional décor, wooden furnishings and a seating area. It offers a view of the patio. This elegant room features a traditional décor, a seating area and a fireplace. It offers a view of the patio. House rules Riad Lyla takes special requests - add in the next step! Riad Lyla accepts these cards and reserves the right to temporarily hold an amount prior to arrival. Plumbing was a bit "Heath Robinson" - we could have done without the pipe orchestra whenever someone used water! A bit challenging to find, but that is part of the fun of staying in the Médina. Very beautiful place with nice terrace. The room was great too! We took the excellent and huge couscous for a diner. Delicious! Nothing that is of consequence; apart from the Riad ran out of beer... Lager.... But we got by, drinking the local white wine. Gorgeous design. Every little detail in the rooms, courtyard, terrace has been thought of. Excellent service. Warm, welcoming staff. The terrace is so peaceful and comfortable. Great breakfast. Comfortable bed. Very clean. Staff couldn’t have been more helpful or friendly. We loved the rooftop terrace with the wonderful views, flowers and birdsong. A haven of calm but just a few minutes from everything we wanted to see. Our room was very comfortable, clean and beautiful. Yummy breakfast! All in all a delightful place to stay.